About Leonardo S. Message Leonardo S.
Leonardo did a great job of customizing our tour. He arranged a fun and interesting trip to a winery in Tuscany in addition to Lucca and Pisa. Leonardo was knowledgeable, friendly, and kept us on track during a busy day. Having a headset and speaker in the car was a huge plus for our group of eight. He stayed in touch with us to make our tour fit the schedule of the places we visited. We wanted a cruise excursion from Livorno. I pressed 4 by mistake when it was a 5 star day.We loved our Tuscany day our guide Leonado was most considerate especially as we had disabled people in our party. He organised a wonderful visit to a winery in beautiful countryside and a light lunch there which was delicious. He helped with tickets for the tower in Pisa, and Lucca was a delight. Overall a wonderful day. Leonardo was suburb, when he picked us up at the port then driving us out to Chianti winery in time for our tour at the winery. The winery that Leonardo selected to take us to was completely "AWESOME". the entire group of 8 of us was just blow away from the views we saw from this winery. Leonardo's knowledge of the area, sites, and the country was amazing, he was very informant and was able to answer any and all of our questions. We all would recommend him very highly. Leonardo was an excellent tour guide. He was very personable and very knowledgeable about the area. We totally enjoyed it! A great day and a great guide! Leonardo easily tailored our time and made sure we saw everything and showed us a place to shop that was wonderful and affordable! We even had him trying on a leather jacket for our son( And it wasn't one of those areas where he was getting a cut.) Thanks Leo, Cody loves the jacket! Leonardo was amazing! He met us at the port on time. We had a great day touring Pisa and Florence. He had great knowledge...we learned so much. Knew all the great spots for lunch and snacks. Highly recommended! Leonardo was great, thoroughly enjoyed our tour with him to Cinque Terre and Pisa , very decent price for a day, private tour for a couple. Highly recommend! Pisa was amazing! Leonardo arranged for us to get tickets to climb the stairs to the top of the tower. We went in the morning, and the plaza was not busy. It was a wonderful moment in time. Florence, we saw David, the leather market, and many of the churches. And if that wasn't enough, made a stop at a winery in Tuscany. Leonardo arranged a very fruitful day. The tour we booked with Leonardo for Florence and Pisa was fantastic. His van was very clean and comfortable, and he used a microphone that made it easy to hear him in the back of the van. Leonardo setup a nice itinerary, that allowed us to see all we wanted to see at a very comfortable pace. He was very easy to talk to and gave us some great incite into the history of Florence and Pisa. he also setup a very nice wine tasting and tour of a winery on the way back. Thanks Leonardo for a great time! Knowledgable. Learned a lot about Pisa. Had a portable microphone so he could be heard by everyone in the van, including my hard-of-hearing father - this is something that none of our other tour guides did and was very much appreciated. He was flexible with his time, and we got to do and to see everything we wanted, including the villa tour at the end. He ate lunch with us as well (at our expense) - all of our other guides made a point of eating separately - don't remember agreeing to it but was OK.
We had a great time! Highly recommended. Excellent driving. Great itinerary but still allows a lot of freedom to explore the towns. We enjoyed spending the day with Leonardo but felt he was a little tentative in adjusting the scheduled tour when it was clear almost none of the shops or restaurants were open, the trails between the first three towns were closed and the boat was closed for the season. Ended up going to Lucca rather than to Pisa so missed the Leaning Tower. We had a customized tour and he was on time. He gave us nice history lessons of the area. Leonardo gave us a very personalized tour of some areas that he knew very well. He knew of our interest in art and opera and led us to some sights that we would certainly not have seen without a guide who had special knowledge. For example, I was interested in seeing Livorno neighborhoods both old and new because of the stories I used to hear from my aunt about living there when my uncle worked at Camp Darby. He also showed us a less obvious sights in Pisa, even Gallileo's home. A real joy! Leonardo was an excellent tour guide. He was very knowledgeable of the Florence region and took us to see all the sights we wanted to see. He spoke excellent English and was very informative to all of our passengers of the region of Tuscany. As a plus, he found an outstanding drive through Tuscany to a wine grove where we conducted a "renewal of Vows" that my 79 year old brother had placed #1 on his bucket list. Above all that, his price was reasonable and his vehicle was new and in excellant shape. I took the tour with 7 other people in my group. We are so pleased and happy with Leo Soricelli. He is very professional, knows history and excellent customer service. If we go back to Livorno/Florence we will ask for him personally. Leonardo was an excellent guide telling us stories and history as we drove through the countryside to Lucca and Pisa. He made sure we saw all the important things both places as well as very clear and concise explanations. Excellent tour by a very easy to listen to guide. One our favorite days spent in Italy! We had a wonderful time with Leonardo. We were met at the Cruise Port seamlessly and taken into Tuscany. We made a quick stop in Greve for a delicious cappuccino before heading to Castello di Verrazzano. This winery was spectacular. The tour was full of history and beautiful surroundings and the lunch was long and delicious. Leonardo then took us to Lucca. This walled city was amazing, so beautiful and it was the type of Italian city we were longing to see. Leonardo planned the day perfectly. Grazie! We were a group of 8 and we were able to see much more than we thought possible. Leonardo was able to navigate the streets of Rome like no other! This tour involves a good deal of driving, so an internet connection would have been a plus, but we are still finding this rare. The next time we use Tours by Locals, we will only book if there is an internet connection on a tour that puts us in a van for more than an hour. Todays tourist, sadly, is still working! I hired Leonardo to spend 8 hrs. with 8 people to visit the Tuscany Wine Valley, Florence and Pisa. He was wonderful - I would hIghly recommend him to anyone looking for a tour guide. He was so accommodating to our wants. He is handsome also but his manner is so wonderful and his knowledge of the countryside was so interesting. He made our trip most enjoyable and memorable. Yeah for Leonardo!!!!!!!! A day on Vespas with Leonardo was the best decision. A true local, he is amazing at what he does making our day ours. He introduced us to places we would never have found as we buzzed around Tuscany. Sights included vineyards, villages, and the home of Andrea Bocelli. The trip back included the coast where we saw beaches and cliffs and a lunch overlooking the sea. A day on Vespa's with Leonardo was a hi-light. He is personable, knowledgeable and engaging. I fully recommend touring with him. wonderful gentleman. knowledgeable, sweet, thoughtful. There were 8 of us, from ages 13 to 84 so we were quite a handful. Leonardo did an excellent job managing the crowd and maximizing our experience. Excellent tour , Piza , Lucca and villa Leonardo's English is excellent, so no problems there . He is very flexible will the itinerary, as I had 2 teenage sons who wanted to do different thing , were given plenty of free space at each location with no pressure on time the actual tour overran by an hour due to boys shopping for gifts . would recommend , climb the tower for the view , do Lucca by bike excellent , and go to see the Parco Villa Di Camigliano , 5 Stars to Leonardo excellent guide . Our day with Leonardo was absolutely perfect. We were looking for a Tuscany experience and our day with him gave us some of the best views and most beautiful towns we could ever have hoped to see. Siena and San Gimignano were great but the addition of Volterra, the concert location near La Sterza and his end of day tour of the area around Livorno were really above and beyond. Our day was better than we ever expected. We ate a picnic lunch in the Siena square instead of a restaurant. Pure perfection! TOUR GUIDE RESPONSE: Hello Michelle, Thank you very much for your review, I am happy that you enjoyed the tour I deliver to you with some extras that you appreciated. Please give my regards to your husband as well, and I hope to see you again for another Tuscany tour! Best Regards Leonardo S.
Leonardo provided a great tour specifically geared to our requests. And his driving skills in negotiating the very narrow streets of medieval villages was most impressive! Five stars Leonardo! Leonardo was extremely responsive in developing a special tour for us. We gave him an outline of our existing touring plans and he put together an interesting and enjoyable day of custom touring for us. He is a personable young man with good English skills and an in depth knowledge of the area. We enjoyed our day with Leonardo and highly recommend his services as a tour guide. Leonardo was our guide for the day. We went to Florence, Castellina di Chianti and the Mall. It was a lot to do in a day but Leonardo managed to make it pleasant and informative. Since we were back earlier than expected, he even offered to take us to Pisa but we declined as we wanted to get back to the ship we were on early. Great tour and excellent guide. We loved Leonardo and the tour he provided even though we all were not able to do all the walking that the usual tour requires. He made some changes for us and everyone felt like they had a pleasant day. On the return we stopped at Pisa which was great for those who had never been there. We feel the day was a success & everyone thanked me afterward for arranging it. Would have liked more time on the wall in Lucca. Leonardo was a great tour guide. I would 100% recommend him!! Leonardo did a great job moving us from one town to the other. Did ferry and train back to Rio Majorie. Swimming was good. Big surprise plus was a stoop at PISA. Better than expected. Leonardo took our family of 5 ( age 18 + ) around Florence for the day. He was able to show us everything we wanted to see in the time we had. One of the things our adult kids mentioned was how nice it was that he sat down and had lunch with us. They found that to be very "cool" of him. We really appreciated the personal touch and how flexible he was in our itinerary as we wanted to get some shopping in in addition to sightseeing. Great tour and great tour guide. Thanks Leonardo!! We highly recommend Leonardo as a guide. He was punctual, respectful, knowledgeable, and very patient with our family of four including two children. He met us right outside our cruise boat, provided excellent commentary throughout the way, and accompany us the entire time from Riomaggiore to Monterosso del Mare making our trip truly unique and stress free. His Mercedes van was spotless and very comfortable. We could have never experience this beautiful destination the way we did without Leonardo. Leonardo was wonderful. He gave us a great tour and made sure that we saw all of the things I wanted to see, customized it exactly as I wanted it. Definitely recommend!! Leonardo was very personable and knowledgeable, and he spoke excellent English. We saw everything that we wanted to see and more, without feeling rushed or hurried. We loved the fact that he had a sound system in the van and gave us a running commentary on the interesting sites on the drive from one site to another. We felt very comfortable with him, and would highly recommend him! HI Leonardo thank you for the informative day and great insights you gave. We took some great pictures and got to see all the highlights of Florence and will definitely come back one day. Regards, the Olivers from SA. What a great day!!! Thank you for showing us all over Cinque Terre!!! Could not have asked for a better day!!!! Leonardo was very personable and professional. He's very well educated about the history of Florence and Pisa and speaks English well enough that he was easy to understand. We enjoyed going to a local cafeteria with him for lunch and the fact that he (like the other TBL guides) was willing to change our itinerary to meet the needs of our family (there were four of us in total). TBL is a great program and my only disappointment is that I didn't know about it YEARS EARLIER! Leonardo was very good about communicating with me before the tour as I set it up with several others from the ship. He was greeted us on time and handled everything professionally. Leonardo offered excellent information about the area. With a challenging schedule he got us to Cinque Terra back and forth and on time! We enjoyed spending time with him and learning about the area. Leonardo is warm, polite, helpful and knowledgeable. He took us around Pisa and Lucca and we had a wonderful day. Leonardo is very obliging and flexible. This is our second time in Livorno and using Leonardo as our tour guide. We would recommend anyone going to the Livorno port to use Leonardo as their guide. Leonardo is the very best guide we had on our 21 day trip. He provided 7 of us, ages 66-76 with an enjoyable, informative, and comfortable tour through Sienna, San G. And the magnificent countryside. His English is perfect and he was open to whatever our group decided as to stops, timing, etc. I highly recommend him. From my original contact with him until we said our farewells in Livorno he was amazing!! You won't find a kinder, more professional guide. Leonardo went above and beyond showing us places we never even knew to ask to see in both Pisa and Florence. He gave us a general overview and then was honest in telling us what we could and could not fit into our day since we were on a cruise and had to get back to port. He kept us safe in Florence during dusk and accompanied me to the bank machine to help me out since my knowledge of Italian is minimal. I cannot commend or recommend him enough. He made a good vacation GREAT. Leonardo was awesome. He took us to Florence and Pisa and gave us lots of interesting info on the way. He also arranged for a local tourist guide in Florence, who was fantastic. We highly recommend him as a driver-guide, and the guide that he arranged in Florence was not expensive and well worth it. It was a pleasant and economical way to tour Livorno, Pisa, and Florence. Leonardo picked us up at the port on time. Although he is not a licensed tour guide, he did an excellent job of telling us an overview of the places we are visiting. He dropped us at the closest point to avoid long walks. He was so nice to offer help when my granddaughter had a minor accident. Very professional. I highly recommend him and will definitely hire him again in the future, if we will ever have a chance again to visit Florence. This was one of the best shore excursions we have ever had. Leonardo was just excellent. Very patient and a gentleman. We would not hesitate to recommend him. TOUR GUIDE RESPONSE: Hi Manuel, Thank you so much for your rating, it is higly appreciated. I am happy you enjoyed you tour with me and I hope to take you on again on your next cruise. Please give my regards to your wife and your friends Sincerely Leonardo S.
Although he is not a licensed tour guide, Leonardo is a good as any licensed guide that we have ever toured with. During our visits to Siena and San Gimignano with Leonardo he provided us with historical background information that allowed us to understand why San Gimignano has so many towers and why Siena is no longer as powerfull as it was centuries ago. We had a very pleasant day with Leonardo. He is an excellent driver and a knowledgeable individual. He gave us lots of interesting facts and made sure we saw the important parts of Cinque Terre and understood the countryside as we drove there. He is perhaps a little quiet, but we found that refreshing in the middle of many days of touring. He was fantastic at touring us around Liverno. I would definitely recommend him. WE were a family of six adults and Leonardo kept us all in site and moving forward There is so much to cover in one day and Leonardo gently parceled out our time wisely How he managed to drive his SUV lawfully through the pedestrian areas of Florence was a marvel You are in good hands with Leonardo and you are in good company The Murphy, Coughlin and Cheresnick families. Leonardo did a very good job taking us to all the places we wanted to see. He managed to keep us ahead of the crowds from the cruise ships both at Pisa and in Florence. He also got us into one of the museums in Florence ahead of a large crowd. He was also open to changing up the agenda to suit our desires when we wanted to. Leonardo gave us a good tour of Pisa and Lucca. He was planning to take us to an expensive place for lunch. When we told him we wanted something simpler, he didn't have a back-up plan. 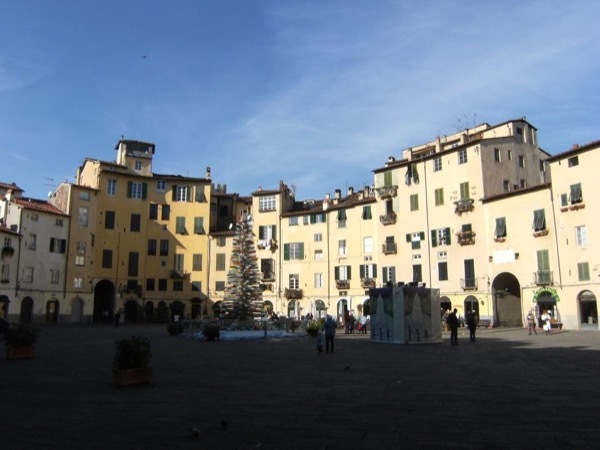 We ended up selecting a casual restaurant in a town square in Lucca and ate outside. Otherwise, he was knowledgable and pleasant. Leonardo starts his section by saying his is not a licensed guide, and that is the feeling we got. He took us to San Gimignano, Lucca, & the cathedral in Pisa for a fine day of outings. He had some information, but not as much as other guides we have had. Experiences in SG & Lucca were particularly good. Great tour! Covered all of our "must see" sites and more. Very well organized to keep us ahead of the crowds. We had a great time with Leonardo - There was an issue with the ferry and the weather. If Leonardo had not been there, we would have been concerned. However, he spend the whole day with us and made it an experience we will never forget. I told my husband, I would love to go to La Cinq Terre for a week or so - so quaint and beautiful. Punctual, courteous and good English. Very informative a flexible with the group. A cost effective way to do a group shore excursion. We would use Leonardo again. OUTSTANDING TOUR OPERATOR!!!! My wife and I chose Leonardo for a custom shore excursion of Florence and Lucca Italy while docked in Livorno on Holland America. When we exited the ship we saw him holding a sign with our name. He was punctual. The Mercedes was very clean as advertised. We proceeded to Florence first followed by Lucca. Along the the way he shared great knowledge of the area. He drove us right up to most sites which was good because of off and on rain. We returned to ship right on time. Leonardo was very knowledgeable. We did have skip the line tickets for the Academia but there was still a long wait. However, Leonardo was able to somehow get us to the front of a very long line at the Academia Museum we were very impressed. Would recommend highly for his professional and yet friendly manner. We had shore excursion with Leonardo in LaSpazia. Leonardo is friendly and reliable driver. We had very good time with Leonardo. He drove us to 5Terre and PortoVenery from LaSpazia, we took boat from Manarolla to to Monteresso. Leonardo stayed with us the entire trip. He had great recommendation to see Porto Venere in addition to my original request for 5Terre. Leonardo, thank you for the great day August 5, 2015. Leonardo is great guide, punctual, w/command of English. Driving Tuscany, gave historical info. Pisa: Tower/cathedral, Knights Square, church w/Christ's crown thorn. Florence: Sta Croce (get the map), Pz Signoria (awesome statues), Pta Vecchio to Pitti, Pz Michelangelo (view), lunch @ La Giostra (near Duomo), Cafe Gilli (est. 1733, espresso & jellies). Patient & safe; flexible on activities; allowed multiple stops, even just for drinks. Leonardo surprised us with his knowledge and different things to do. Leonardo was truly amazing because he was friendly and was very helpful to our 10 yr old boys,polite and very knowledgeable. Great tour option. We felt we received good value for our money. We had a perfect day with Leonardo as our host. Prior to our trip, Leonardo emailed me with a suggestion to add to our trip. His suggestion for a wine tasting was the best. Leonardo was waiting for us as we got off the ship and off we went to the Tuscany area. He gave us enough time at each stop and was cognizant of our return time. He was knowledgeable about the areas. I would highly recommend Leonardo as your guide. I hope to return to the area and be in touch with Leonardo. Thank you, Leonardo! Leonardo was a wonderful guide, it was a very special day in Cinque Terre, the views, the food & the company of a great guide. Thank you for a amazing experience! Had a wonderful day, Leonardo is great, friendly, and fun. We were able to see many sites at a nice relaxed pace. We will continue to use tours by locals, as getting that personnel one-on-one experience is a winning combination. We enjoyed our tour with Leonardo. He was on time, and created a custom tour exactly as we requested! 0 problems. His personality is laid back and not a hyper as some guides. I would use Leonardo again and recommend him to others. Leonardo was prompt, efficient, courteous and informative. He parked his van just a block from the famous Leaning Tower and made sure we had tickets to view all the sights. No problems and we have a very good time. His tour met all our expectations. He was always polite and helpful. Our family enjoyed our day with Leonardo. He was very attentive and worked hard to ensure we enjoyed our day. Leonardo's English was very good. He went into depth about the areas he was familiar with. Even though he wasn't as familiar with Cinque Terre as Pisa, he worked hard to ensure our visit was memorable. We appreciated that he went with us through Cinque Terre, including the train ride and having lunch with us. He even added on a driving tour of Livorno, which was unexpected. Thank you Leonardo. The tour given by Leonardo S to Lucca, Italy, was excellent. He exceeded our expectations in every way. Elsbeth A. We had a great time visiting places that were not available on the cruise ship excursions list. Our special-needs passenger had no difficulty and Leonardo was very helpful. TOUR GUIDE RESPONSE: Hi Lynn, Thanks a lot for the review of your tour with me; I am happy you enjoyed it and hope to see you again on your next holyday in Italy. Please send my regards to your husband and your friends! Leonardo made our group of 6 very enjoyable. His knowledge of the cities and surrounding areas made our tour much more interesting. It's not just seeing the sights but learning about the history of the places one visits. Leonardo was wonderful and did an excellent job of guiding us. I can highly recommend him as a guide. Leonardo was very knowledgeable and very nice. He quickly took us to all the places we wanted to see and made sure we got advanced tickets. He couldn't have been better. We would highly recommend him. We did not need a guide but only a car and driver since we had been there before. He was able to be exactly what we needed. Leonardo was a wonderful local guide, bringing our 3 generation group to the cities we wanted to see, Pisa and Lucca, and choosing a wonderful winery for our lunch and wine-tasting. He was prompt, attentive, responsive and very knowledgable about Tuscany, making our visit great. We had a delightful day and returned to the ship full of happy memories. We'd all recommend Leonardo highly.